COMPANY PROFILE Teva Pharmaceutical Industries Ltd is a pharmaceutical company which develops, produces and markets generic and specialty medicines which include chemical and therapeutic medicines in a variety of dosage forms and central nervous system medicines. Headquartered in Israel, Teva Pharmaceutical is the world’s largest generic pharmaceutical manufacturer. The company also develops and sells branded pharmaceuticals in central nervous system, oncology, respiratory, and women’s health categories. After acquiring Allergan’s generics business, Teva’s generic sales should be over 60% of total revenue, with branded drug and international over-the-counter revenue making up the balance of sales. Copaxone makes up about half of Teva’s branded drug segment, with about $4 billion in sales for 2015. 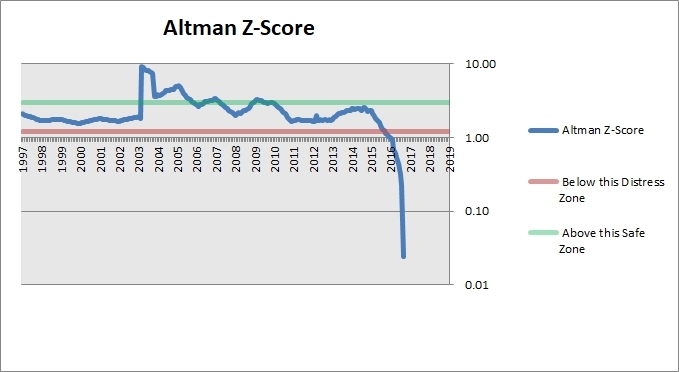 The latest Z-Score of the company as at Dec 2017 was -0.4, which is in the distressed zone. 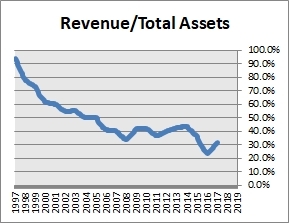 The amount of revenue generated from assets has been on a downtrend since 2014. 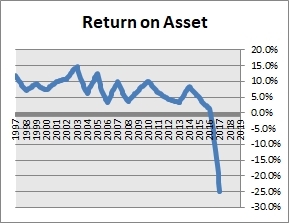 EBIT as a % of assets has been on a downtrend since 2014. 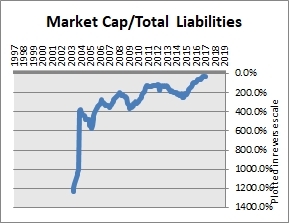 Currently, the company is making losses amounting to 24.8% of total assets. The level of borrowings has been on an uptrend since 2005. 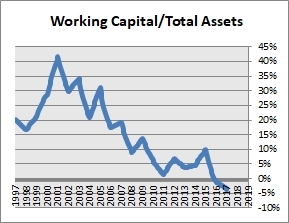 Working capital is essential to the operations of the company and a low level of working capital may result in liquidity problems. 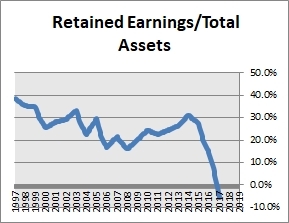 Working capital relative to total assets has been on a downtrend since 2001.